I was at 124.4, meaning I was up 1.4 pounds this week. I'm not worried about it, considering I'm still so far under my goal weight, and I didn't binge. My appetite has been crazy for the past couple of weeks, so I've just been going with it. 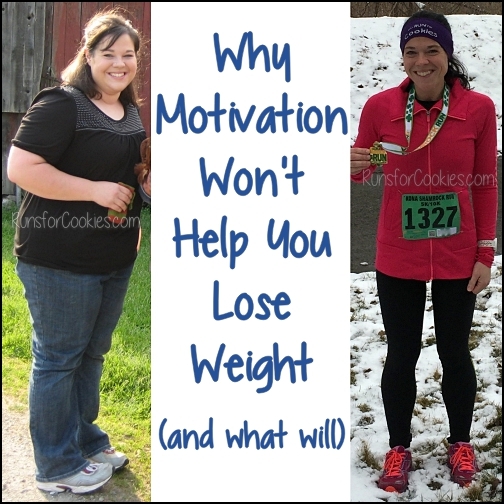 And I certainly can't expect to lose or maintain my weight every week for the rest of my life! I just have to make sure that it doesn't turn into an upward trend over a period of several weeks, and I'll be fine. My typical routine was thrown a little when my brother invited us over for dinner last Wednesday. I didn't overeat, but it was higher-calorie food (burgers, a beer, dessert). I ended up making that an impromptu high-calorie day, but then I ended up having a weekend that was high in calories as well. All-in-all, my average daily calorie intake was 2,258, which is the highest it's been since I started calorie counting 32 weeks ago. I was kind of expecting not be able to eat much because of my root canal on Thursday, but I guess it turns out that's not true ;) I ended up having three pretty high calorie days, as opposed to just one. Next week, I'd like to try and keep my calories fairly even at about 1,900 (plus one high-calorie day) and see what happens. Anyway, I don't have any regrets about the week--I listened to my hunger, and I didn't let indulgences turn to binges--so the week was a success, in my eyes. Interestingly, the thing that I was happiest about was that I didn't get stressed about going to my brother's for dinner. 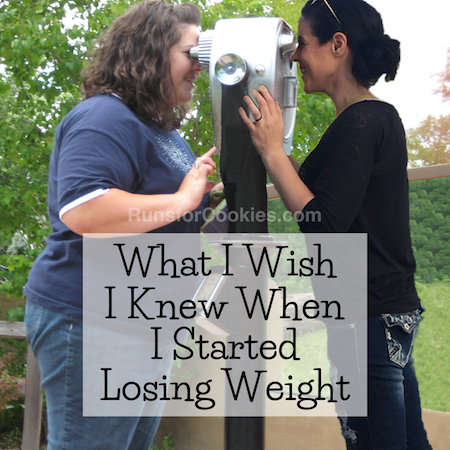 In the past, when doing Weight Watchers, I probably would have declined the invitation or stressed over the food and how to handle it. This time, I didn't even ask him what we'd be eating--I just said we'd love to come over, and I decided to eat whatever he and Becky decided to make. While we were there, Becky even commented on how much more relaxed I seem. I enjoyed the food, taking a mental note about how much I was eating, and then I logged it on My Fitness Pal later. It was so nice not to feel bad or stressed about it! 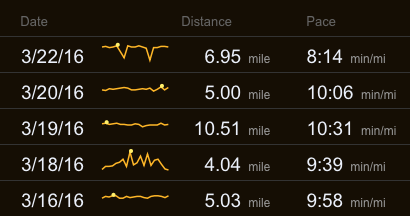 I had an excellent week as far as my 10K training goes. 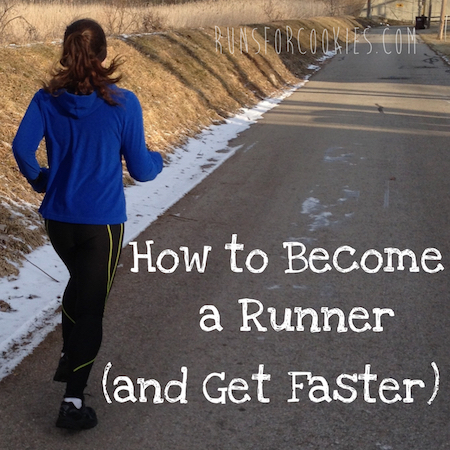 I'm still riding yesterday's runner's high from nailing that workout! 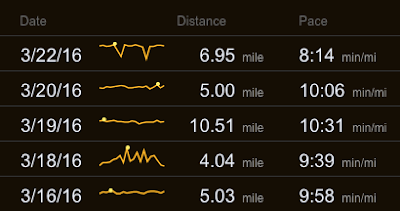 I'm now 18 days away from my goal race. I can't believe how fast the time has gone by (or how much I've improved!). 7,000+ steps 6+ days per week: I got in 7,000+ steps every day except for Thursday, which was when I had my root canal. Binge-free: Today is Day 232! It feels second-nature now, almost like bingeing isn't even an option. 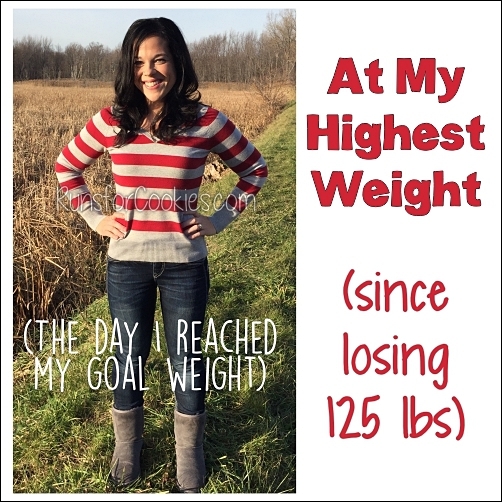 Yes, I've had high calorie days, but I've always stayed in control over my choices. I'm also at the point where I feel like even if I did slip and have a binge, I wouldn't let it turn into a week or month of bingeing. I feel like the way I'm eating and living now has truly become a lifestyle. I can't say that I ever felt that way before. Try one new recipe weekly: This week, I tried out One Pot Jambalaya Pasta. This was delicious, and SO easy to make! I love the one pot recipes where you basically just throw everything into a pot to cook. Jerry and I loved this, and Eli was pretty into it as well. But it was too spicy for Noah's liking (even the tiniest bit of spice turns him off, though). The recipe made eight servings, so there was enough leftover to have for lunch the next day. I made it without the shrimp, but next time, I'd like to include it. I love shrimp. Despite the scale being up a little this week, I am happy with my week overall! So great that you remain so upbeat!!! And accept that there are ups and downs in weight. And that you allowed yourself to go to your brother's and eat and not call ahead -- or skip the invite -- because of dieting. A question: if you count your calories but listen to your hunger, how is that different than intuitive eating? how does the calorie counting affect your eating, if you are listening to your body? I really am curious. It's not a rhetorical question. 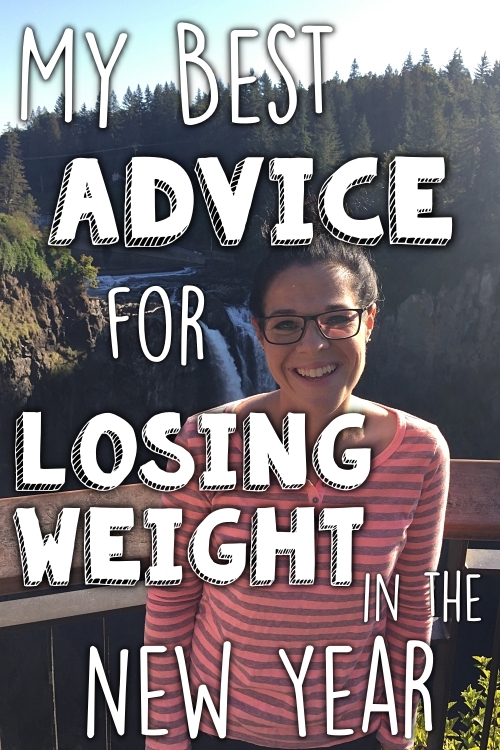 I will echo Abby's comments and say that I think it's fantastic that you're not stressing out about dinner parties, weight fluctuations, etc. I'm sure that plays a big part in your staying binge-free for so long. 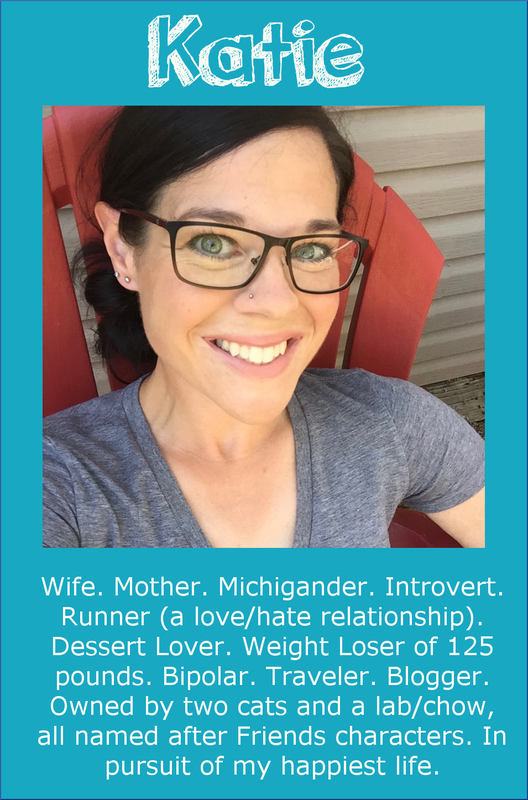 And I get what you're saying about intuitive eating and counting calories. I agree that they don't have to be mutually exclusive at all costs (even if books on IE say they are). 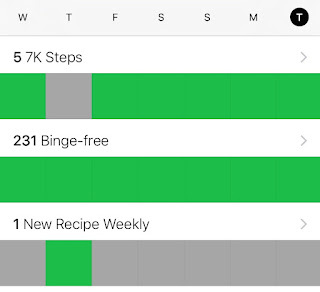 As long as you don't have a set limit that you refuse to go over even if you're genuinely hungry (or the opposite), I believe you can use calorie counting as an "awareness tool". These days I'm trying to put in practice many things I learned by reading up on IE: listening to my hunger cues, paying more attention to my food as I'm eating, asking myself "What do I feel like eating?" before every meal and snack, etc. But! I still count calories along the way, just to make sure that on average I'm eating what I know is a good amount for weight maintenance. I wanted to check out the pasta dish recipe and just spent 30 minutes looking through some of their recipes....have you noticed the parmesan baked potato halves? Instant craving!